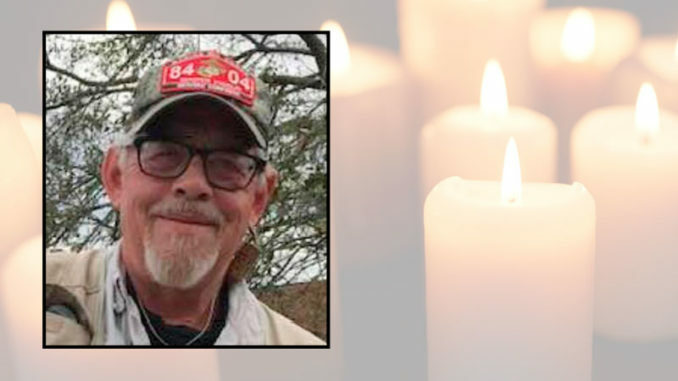 James “Jim” Robert Maddin, 65, died Tuesday, January 8, 2019. Born, December 31, 1953 he was a native of Bonifay, Florida and resident of Des Allemands, LA. A visitation will be held on Saturday, January 19, 2019 from 10:00 AM until service time at New Life Community Church in Luling. A memorial service will begin at 11:00 AM at the church. He is survived by his mother, Margie Ellis Poret; brother, Bruce F. Maddin, sister, Rebecca M. Dufrene and husband Kerry J. Dufrene, Sr.; niece, Alexandra L. Dufrene. He is preceded in death by his father, James Lawrence Maddin. He served as a Navy Corpsman and was also a member of the Reserve Medical Unit 609 in Pensacola, FL in the United States Navy. He was a member of the Marine Corps League Bayou Parish 905 and a member and Choir member of the New Life Community Church. Ordoyne Funeral Home is in charge of arrangements. To share a story or send condolences please visit www.ordoynefunerals.com.